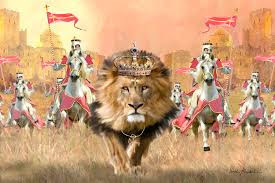 He’s the king of the Jews that brought good news to use His blood to loose us from Satan’s abuse in order to infuse His Spirit on us and amuse us with His love without asking for any dues. He’s the king of righteousness who was selfless enough to change our hopelessness to greatness and bless us despite our mess to make His fullness perfect in our weakness. He’s the king of the ages that paid the wages of sin to redeem us from all evil cages. He follows us through life stages like pages of a life book to stop any storm that rages against us. He’s the king of heaven that has woven grace that delivers us from the raven of the Pharisees. Even when in the oven of trials, we scale through as the raven scales through the wind. He’s the king of glory who acts in a hurry to change our story ‘cos He feels sorry to see His children worry. Sinners turn from their wrong as winners sing their song, the dove spreads its wings as heaven’s bell rings, nature transforms its beauty as man performs his duty, civilians praise with words as soldiers raise their swords, nations bow down as kings cast their crowns, we His children let out our shout without any doubt, even the devil wags his tail as demons fail; all these just in respect of my one and only king. He’s the King of kings and the Lord of lords. The master of gods and owner of the flaming sword. The living word that we applaud for breaking evil pods and tearing the devils cord. The air we breathe and the food we eat, saviour we reckon with and spirit that keeps us fit, brother with whom we sit on a heavenly seat, lamp to our feet that makes our path lit, creator of time who’s unbound by eternity; existed before ancient time, constant in this changing time and persists when time ceases to be. Wait a minute; have you ever been thankful to this truthful God? Have you ever been grateful to this powerful God? Have you ever been praiseful to this faithful God? Have you ever been prayerful to this wonderful God? Have you ever been hopeful in this graceful God? Have you ever been joyful for His bountiful promises? If yes, then how long will you continue to let Him say, “if I be your father, where is my love; if I be your master, where is my fear”. Brothers and sisters, it is high time we arise and return to our first love; returning to a place of worship to His Lordship in spirit and in truth.